Alicia Gaffney has been promoted to Loan Officer at Carver State Bank. Prior to assuming the new position, she was a Loan Administrator. As Loan Officer, Gaffney will be the bank’s primary contact from most consumer, small business loans and church loans. She will also help implement the bank’s marketing, loan documentation, regulatory compliance and community development efforts. Gaffney will work at the bank’s Skidaway Road Branch that is located at the corner of Eisenhower Drive and Skidaway Road in Savannah. 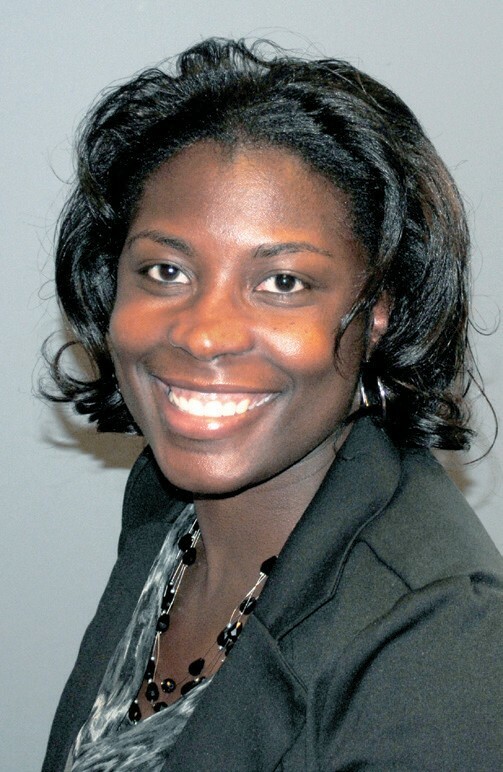 Gaffney joined the staff at Carver State Bank as a Management Associate during June 2004, immediately after earning the Bachelor of Business and Administration in Accounting at Savannah State University. In addition to her most recent assignment as Loan Administrator, she has also been a Teller, Customer Service Representative and Loan Service Assistant at Carver. She received the coveted Carver State Bank Employee of the Year Award for 2010. Gaffney is a native of Columbus, Georgia, where she graduated from G. W Carver High School. She has also earned several certificates for the completion of business and banking courses. Gaffney is married to James Gaffney and they are the proud parents of Dana Gaffney, age 11, and Jasmine Gaffney, age 8. Carver State Bank is a community bank serving customers in Savannah and neighboring communities with a full range of banking products and services. The only bank in Savannah that is certified by the United States Treasury Department as a Community Development Financial Institution, Carver is also the oldest bank based in Savannah. The bank is a member of the National Bankers Association, Georgia Bankers Association, and the Community Development Bankers Association. One of only 28 African- American-owned commercial banks in the United States, Carver has remained a financial services leader for all sectors of the Savannah community for more than 87 years. It is the only bank in the area that has been awarded an OUTSTANDING Community Reinvestment Act Rating by the Federal Deposit Insurance Corporation (FDIC).